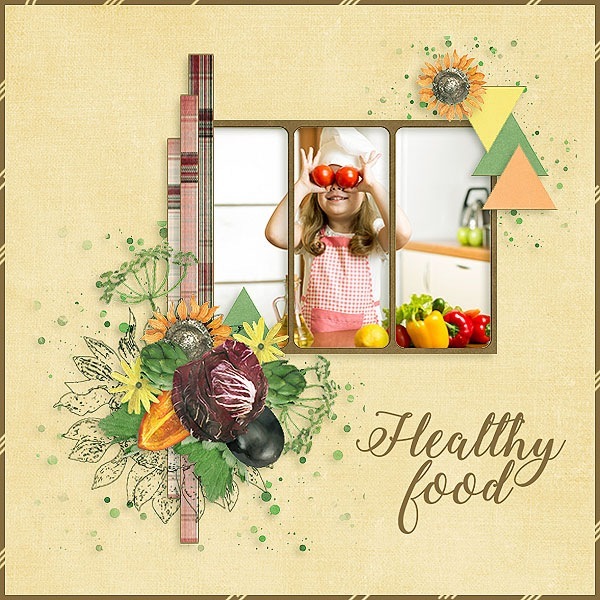 What do you think about vegetables? I like vegetables, but I'm not a vegan. I like to combine the vegetables with fish, chicken or meat. I like all vegetables, but my favorites are potato, cabbage and broccoli. What I really hate, is spinach. 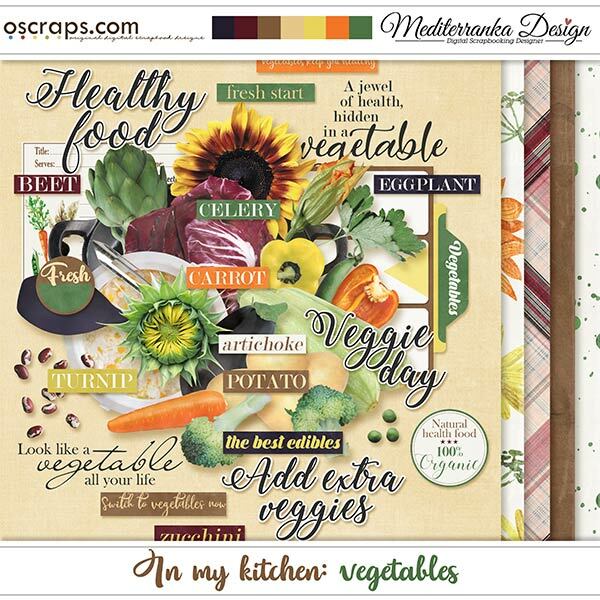 In my kitchen in September you will find some vegetables like carrot, zucchini, bell pepper, sweet pea, potato etc. 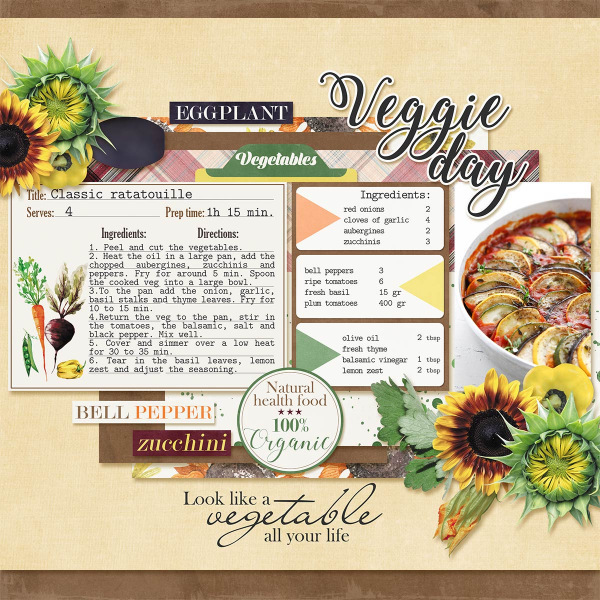 You can use these kits for creating your everyday layouts or easily make the recipes book. Bon appetit!